The Brooklyn Heights Music Society was founded in 1973 with a mission to foster the enjoyment of the musical arts within the Brooklyn community. 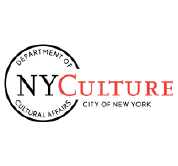 As the sponsoring organization for the Brooklyn Symphony Orchestra and various chamber ensembles, the Society sponsors concerts in various Brooklyn locations each year. The Society is a 501(c)3 charitable organization. The Brooklyn Heights Music Society and Brooklyn Symphony Orchestra are administered by a working Board of Directors. The Board meets every few months to plan operations, and we welcome volunteers at any time. For time and location of these meetings, and inquiries about joining the Board, please contact President. Copies of the minutes from previous board meetings can be obtained from the Recording Secretary.